There are also single mode and/or single band upgrade stickers available. 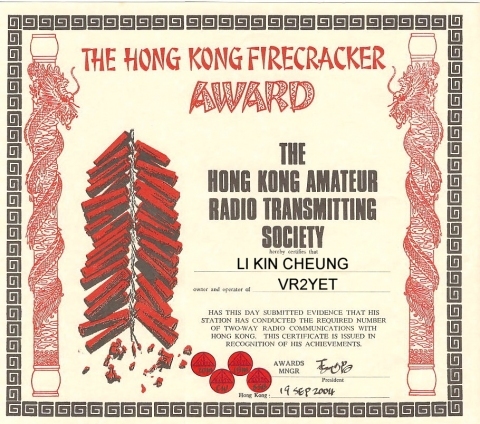 Application fee US$1 or HK$10 or 3 IRCs. Unsuccessful applications will be returned after deducting process fee of US$1 or HK$10 or 3 IRCs. 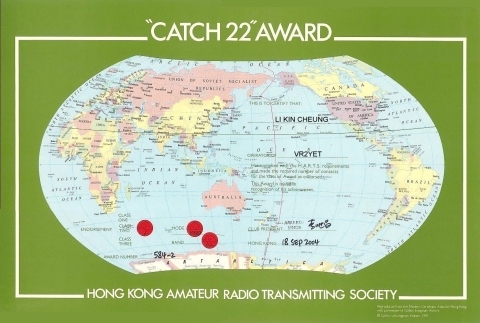 Applicant should submit the confirmation of radio communication with HAM stations within the territories of latitude 22 degree North (see attachment). 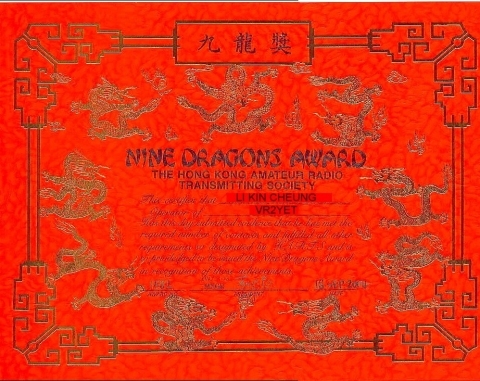 Radio communication with 9 CQ zones : one each with zones 18, 19 and 24 to 30. Two radio communications are required with each zone in these 9 zones including 2 VR2 stations. Radio communications with 6 different VR2(VS6) stations. Radio communications with 10 different VR2(VS6) stations are required for those applicants reside in CQ zones 18, 19 and 24 to 28.